BioCity was founded in 2002 when the concept of a business incubator offering 360° support within a self-contained campus was unheard of. But a small team of dedicated people, founded by the Nottingham Trent University and University of Nottingham, fought hard to turn that great idea into reality, a reality now replicated throughout the UK. But we’re not finished yet. Startups are inimitable with specific needs, priorities (and quirks) that generic business incubators and science parks just can’t meet. Enter BioCity. BioCity campuses are designed with start-ups in mind. Whilst the high ceilings and large suites of MediCity make the perfect home for MedTechs, at BioCity, BioTech start-ups find everything they need under one roof. Take on new projects and new people without the risk of lengthy leases, with lab space to rent with just 1 months’ notice. Manage the ups and downs of entrepreneurship with the option to scale back with just 3 months’ notice. The flexible and modular lab space is perfect for life science startups, including Class 1 and 2, GCP and GMP life science labs with fully extracted and recirculating fume hoods. Layout not quite working for you? With our in-house engineering team, get the essentials like benching, data points and storage just right for your team and the way they work. Enjoy weekly social events such as complimentary yoga or join us for a ‘Wise Words, In Conversation with…’ salon-style event. Industry leaders share their thoughts, experiences and most importantly, the lessons learnt over a beer or two with our invited audience of BioCity business leaders. Learn from the best and connect with the community. The cluster effect of BioCity attracts benefits and opportunities not typically available to startups. Invitation-only pitching competitions, investment opportunity roundups, unique collaborations and trade visits are regular features for BioCity based life science startups. As scientists with little business exposure, the thought of turning a concept into a business was a daunting thought. 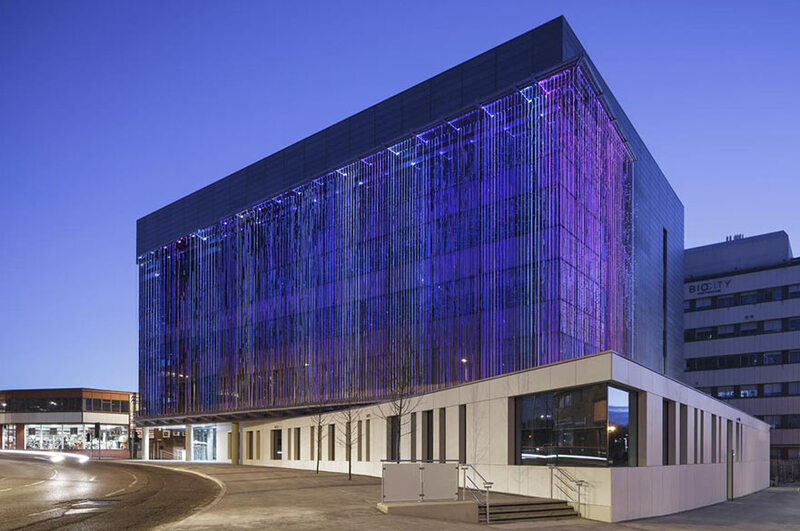 The business support at BioCity is designed to improve business thinking, strategy and success, whilst also providing peer support. Thanks to this support, our decision to become BioCity tenants 18 months ago was and continues to be an excellent decision. Start-ups are inimitable with specific needs, priorities (and quirks) generic business incubators and science parks just can’t meet. Enter MediCity. 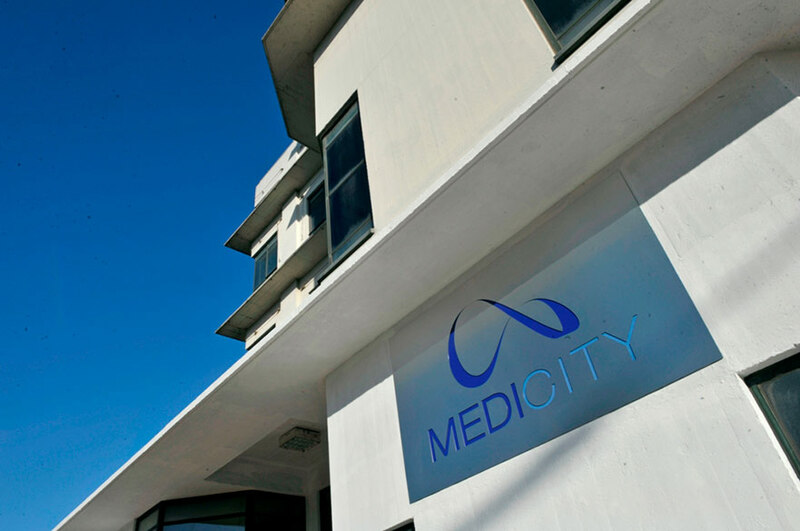 Part of the BioCity family, MediCity campuses are designed with start-ups in mind. Less chem, more tech focused, consumer healthcare, diagnostics and beauty products join medtech under the roof of MediCity incubators. Rent only the space you really need. Flexible, modular labs and write-up spaces with just 3 months’ notice (opposed to lengthy leases of space you’re not ready for… yet) with option to scale up when the time is right. The companies at MediCity benefit from being based within the Enterprise Zone, enjoying (in most instances) full exemption on business rates. It’s great to be surrounded by so many other companies, just along the corridor! All the time we get together to share advice and good ideas, even if it’s just to have a cup of coffee and a chat.